It’s snowing in Denver again. I’m housebound for the day which is fine by me. 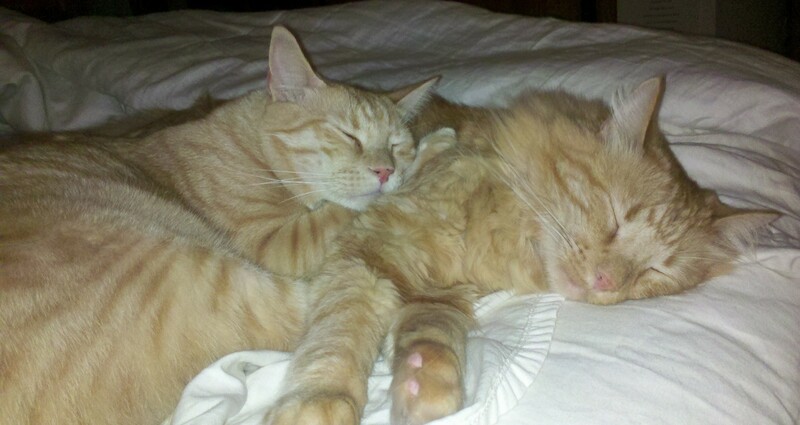 I’ve been away at a work-related conference for 3 days and missed my cats! I also am starting my “cleanse” today (I mentioned here) so had planned to spend the day at home not eating, getting caught up with cleaning, and dance practice anyway. This is cuddling weather. 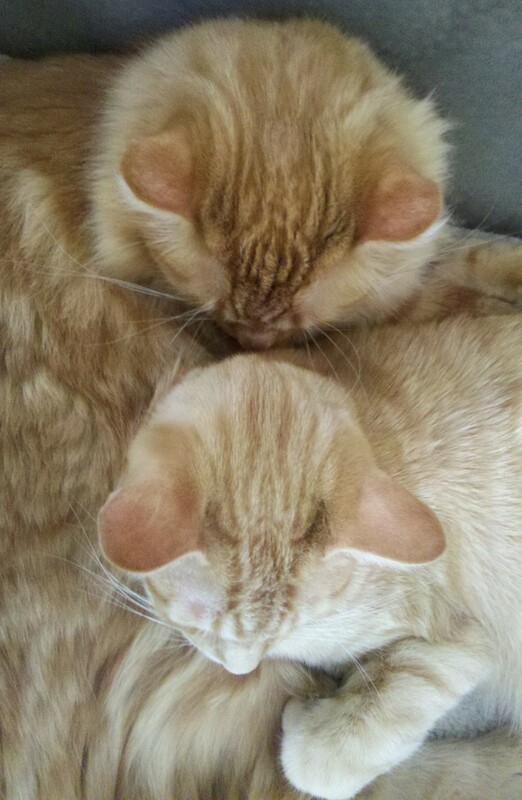 Sometimes when Tigger and Simba cuddle you can hardly tell where one cat ends and another begins (of course I can tell). 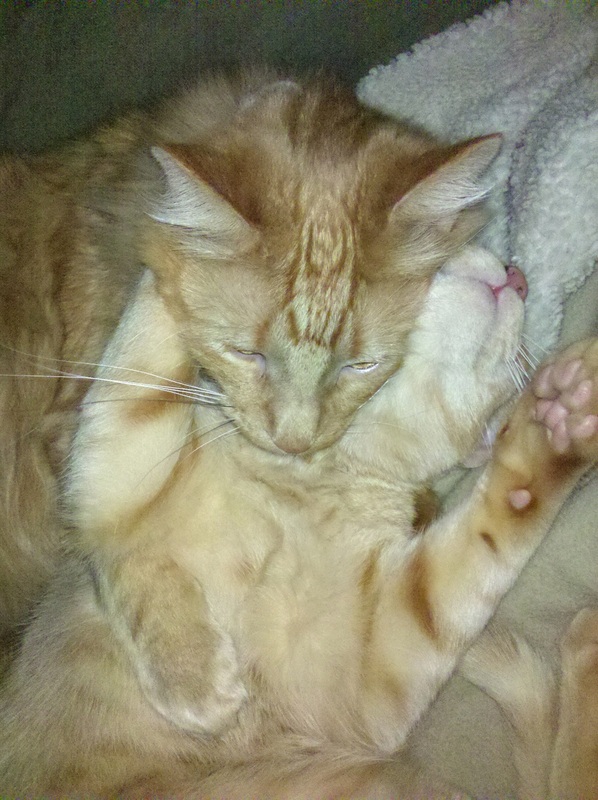 Usually Simba is just laying on top of Tigger in some way. 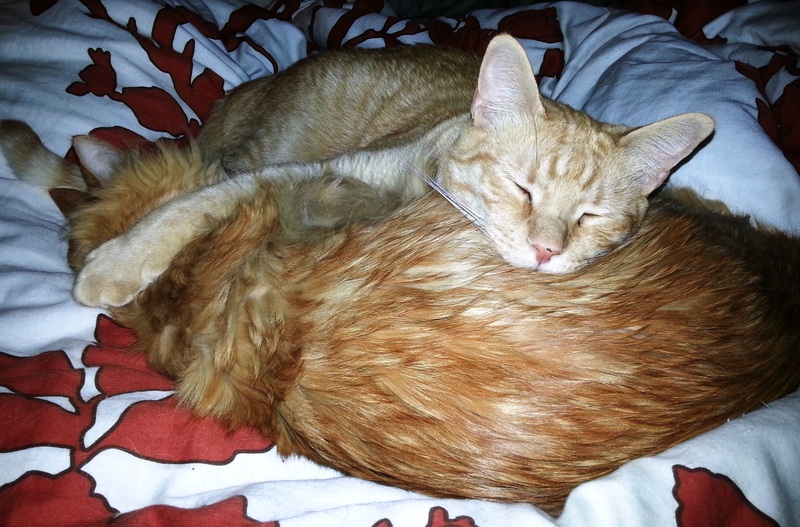 I’m not sure why Tigger puts up with it, but I kinda like it when Simba lays on top of me too. They don’t cuddle as much now since I don’t have a couch or comfy chair in the living room that is big enough for the both of them (my apartment is too small). 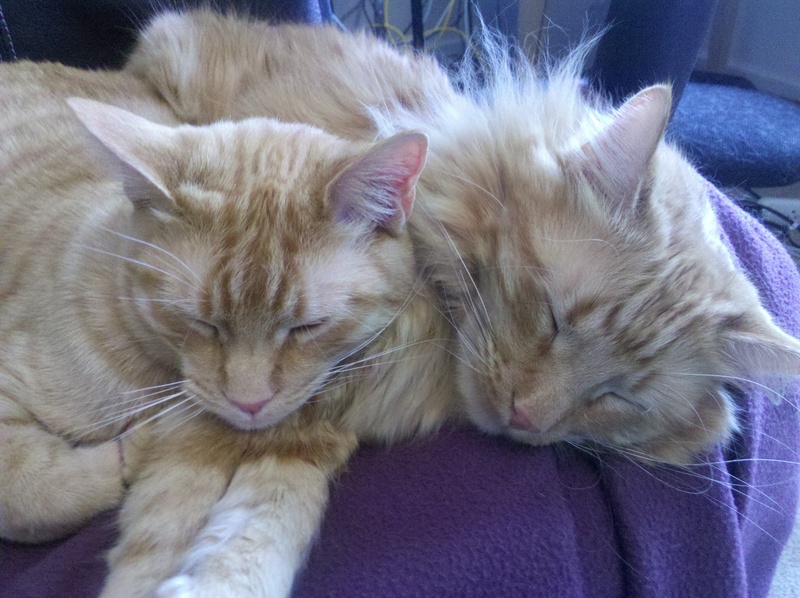 Sometimes they share the office chair (for which I have complete photo-documentation – another time). They each have spots they like – Simba in front of the dance mirror or in the papasan chair, and Tigger in his travel crate (???) or blue bucket. 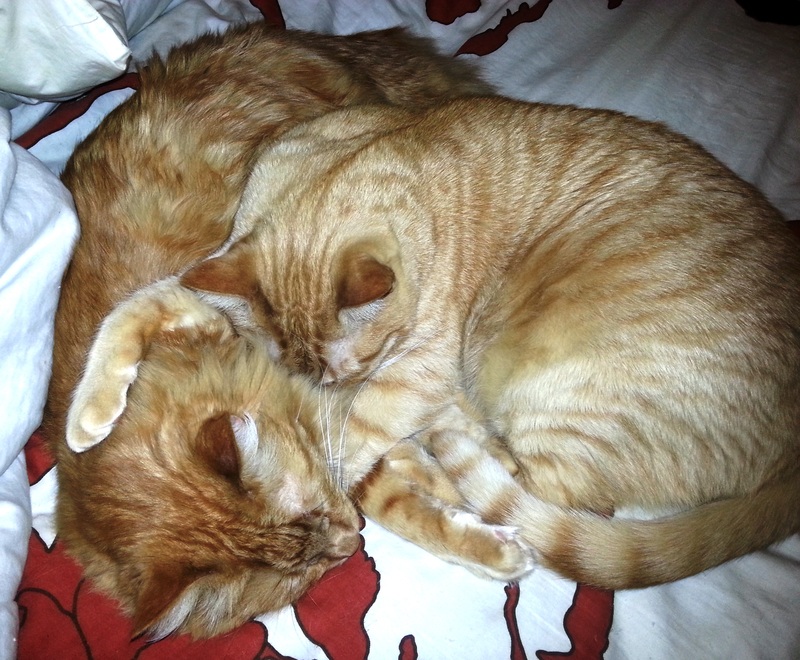 They do cuddle together on the bed sometimes. 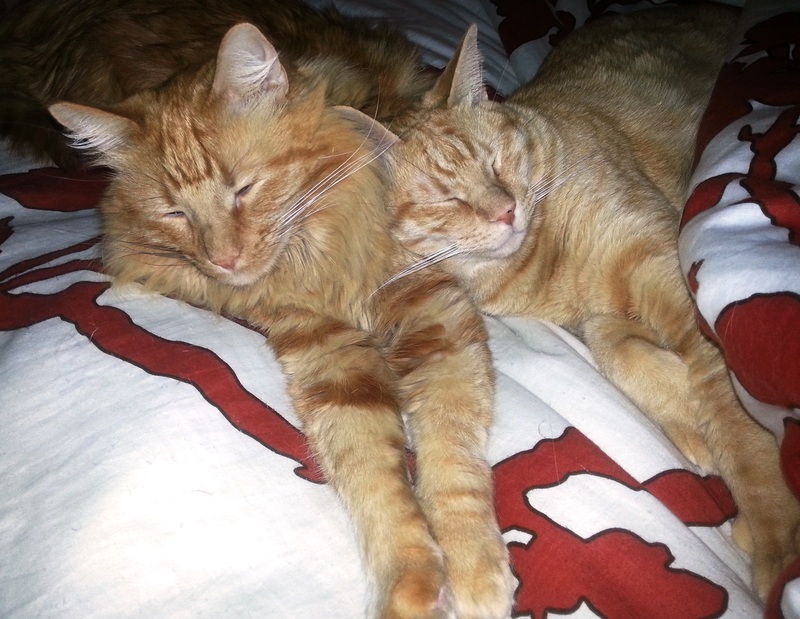 At night they each snuggle up on either side of me (Tigger right, Simba left). I recently read an article about how owning a dog generates that good stuff Oxytocin in their owners. I’m not sure why cats (or any other pet for that matter) weren’t even mentioned. 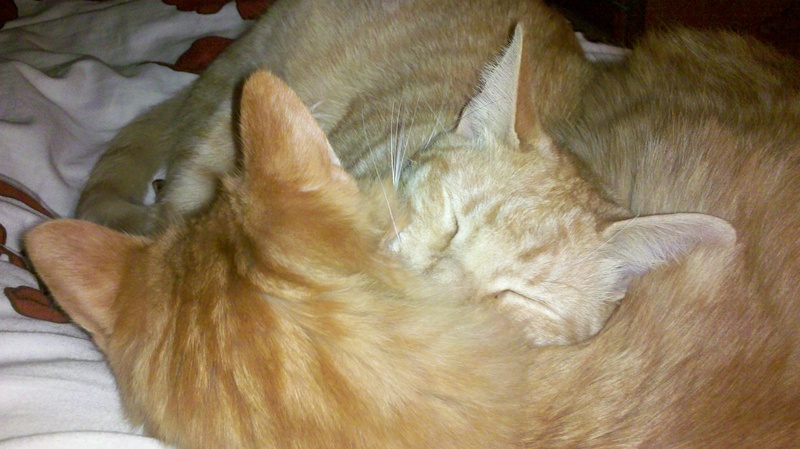 Sometimes when I see my cats snuggling my heart just wants to explode. 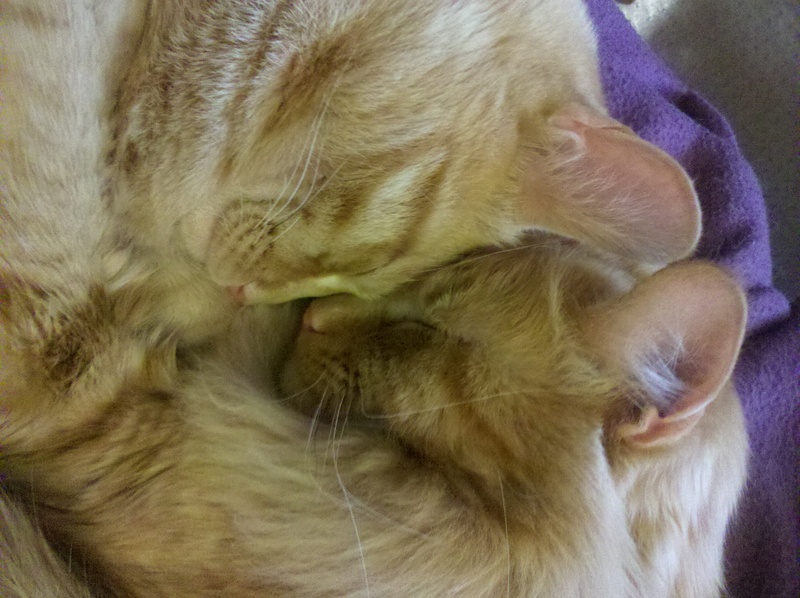 Here is a sampling of some of my own personal cute-overload pictures. The good ol’ days when they had a couch. 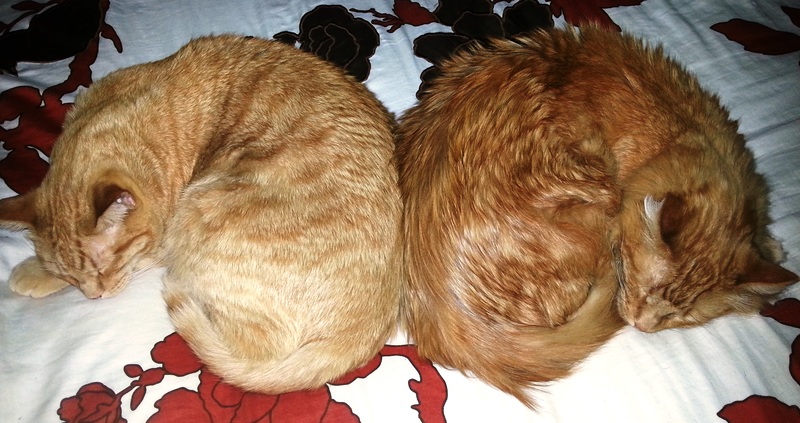 Markings are same, fur is different. In my personal top 5 all time favorite cat picture. 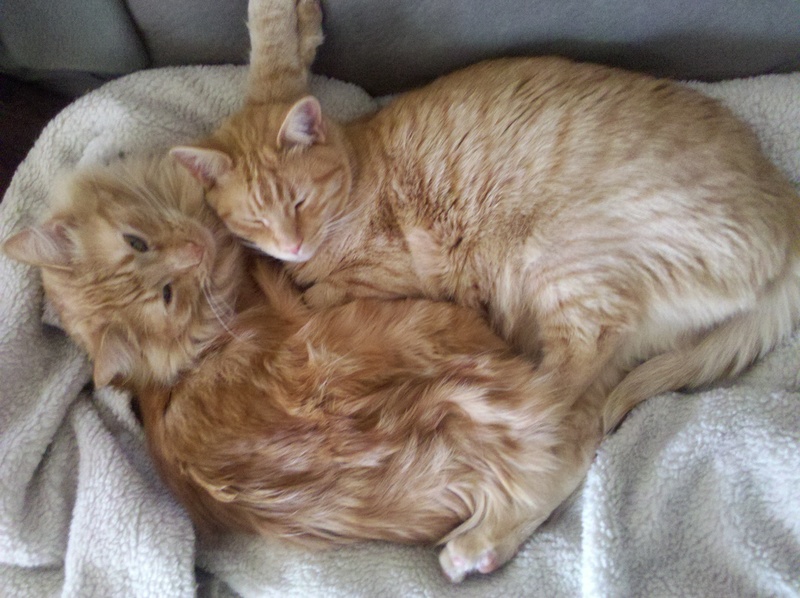 Snuggling can occur in a lot of different ways. 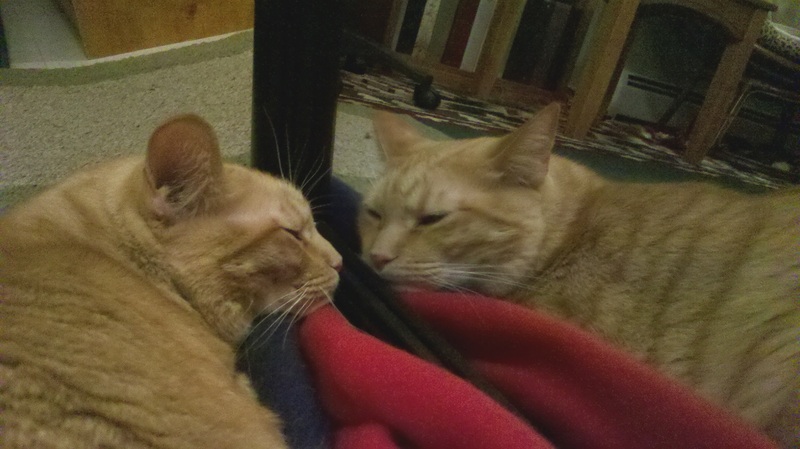 And here is Simba in front of the mirror. All alone. But not quite.